Orlando, Florida – April 7, 2015 – (INTUITION by Perspective Group) – John Farrow, RRP, will share his expertise on cost-effective building design and construction as a featured panelist next week at the 2015 ARDA World Convention. The global timeshare event will draw more than 3,000 industry professionals, April 12 – 16, to the Orlando World Center Marriott, Orlando, Fla. Kicking off the conference’s educational sessions, Farrow’s panel entitled “Fun-damentals of Resort Development” takes place Mon., April 13, 9:00 – 10:00 a.m., in the Marco Island Room on the lobby level. As president and CEO of FARROW COMMERCIAL CONSTRUCTION, Farrow heads up a leading general construction corporation specializing in the hospitality and timeshare industries. With a 20-year track record of success, the Santa Rosa, California-based company works with large and small resorts and developers throughout North America and Mexico. Many of these clients have been with FARROW for more than 15 years, from original resort construction through refurbishments. Farrow says his clients are the Expedia shoppers of the construction industry, always looking for the best price. His company was founded on the principal that getting a great price doesn’t mean clients have to settle for less. At ARDA, he will highlight the FARROW Trifecta, telling developers how to get exceptional service, exceptional quality, and exceptional pricing. FARROW works hand-in-hand with clients at the project inception, utilizing economies of scale and value engineering to ensure success. The goal is to make everything safe, cost-effective and turnkey to deliver the best-finished product on time at the best price. FARROW’S full-service, value-enhancing approach centers on four areas: preconstruction services, value engineering, production-based construction and lasting quality after completion. Preconstruction Services – The company can help source architects, designers, engineers and outside vendors necessary to complete the project on time and on budget. FARROW also works through design and purchasing elements to assure products and materials are not out of production and or on back order to avoid costly delays. Value Engineering – The team looks carefully at the products that architects and designers have specified and then offers alternatives of like kind to substitute and incorporate into the overall design theme without sacrificing quality, style or finish, while still affording a better price. Developers can put these substantial savings into upgraded amenities to provide the enhanced experiences their guests want. Product-Based Construction – This vital component shortens the project timeline for additional re savings. FARROW helps the resorts increase revenue by completing construction quickly and returning owners and guests to their units. Lasting Quality After Completion – With the motto, “Cheap is never inexpensive,” FARROW uses higher quality materials to guarantee longer life spans and better results long after the job is done. The company also backs up each project with an extended warranty. FARROW’s Best Price Guarantee promises to match or beat the competition like-for-like on service, quality and construction. When getting competitive bids, Farrow advises developers to make sure they are making apples-to-apples comparisons. Bidders should price the same scope of work, quality of materials and construction schedule. Developers can also save money in the long run by working with a hospitality-specific general contractor, who understands all the critical details of this sector. FARROW COMMERCIAL CONSTRUCTION is a leading general construction corporation specializing in the hospitality and timeshare industries. The full-service company has core competencies in renovation, new construction, ADA compliance and sustainability. Company founder, president and CEO, John Farrow, has served in many key positions, including chair of the ARDA Construction and Design Committee. In addition to ARDA, Farrow is active in the American Hotel & Lodging Association (AH&LA), Americas Lodging Investment Summit (ALIS), Building Owners and Managers Association (BOMA), National Fire Protection Association (NFPA) and Senior Living. 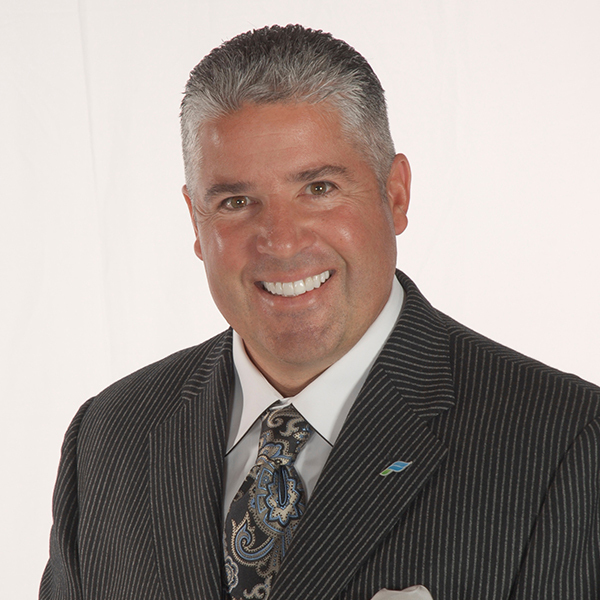 He is a frequent speaker at the ARDA World and the GNEX Timeshare Leaders conferences.